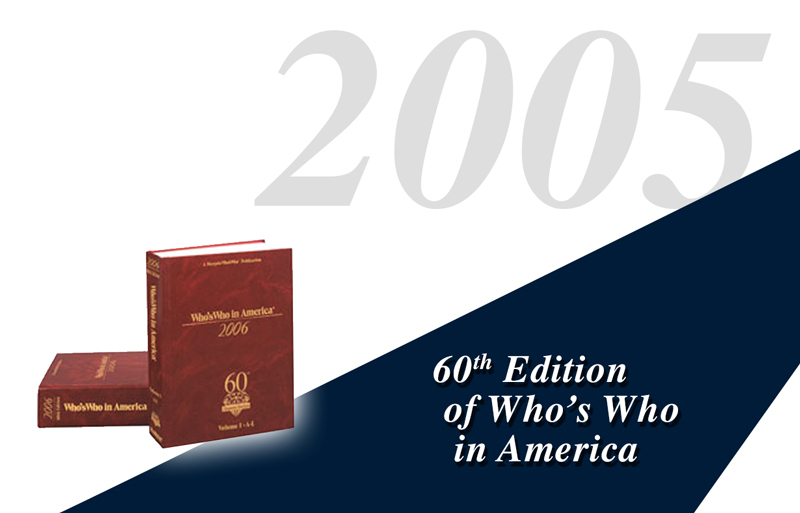 The Diamond 60th Anniversary edition of Who’s Who in America is published in October. The directory contains not only over 100,000 biographical profiles of prominent individuals, but also contains a timeline of famous people and their accomplishments from the 1890s to the 2000s, the lifespan of Who’s Who in America. In November The New York Times features an article about the 60th edition, referring to it as “that venerable guide to American Achievement,” while citing its increasing diversity of coverage. Marquis Who’s Who digitizes over 110,000 biographies from their Who Was Who in America 1607-1985 print archive, forming an online segment called Who’s Who in American History, representing 400 years of biographical history. The “life stories” range from inventors, explorers, colonists, abolitions, important figures in business, government, the military, education, literature and other remarkable people who helped shape American history.